Adjacent to a new retail center along the 210 Freeway at Sierra Avenue and Casmalia Street in Fontana, CA., the two-story medical office is a 42,184 square foot concrete tilt-up, fully sprinklered structure in a high wind area. 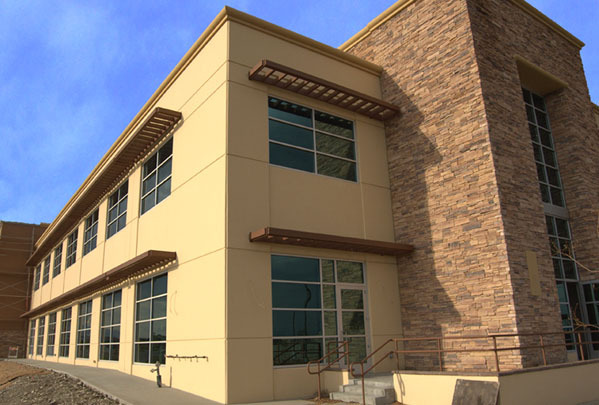 The project includes the design and construction documents for three separate medical office tenants occupying the entirety of the first floor. This scope of tenant improvement work includes all finishes, material selection, and case work for all exam rooms, meeting rooms and lobbies. Site work included grading and retaining walls as well as relocation of several monitoring wells. Landscape and hardscape design incorporated drought resistant plant material and plazas.